Gaia Heritage is now working on the issue of contemporary architecture in historic settings, in collaboration with international countries and UNESCO. The role of vision and the brain's memory is being focused on, along the lines of why one accepts one building rather than another. Here, the question of mental maps becomes crucial, and how you navigate different places. According to Georges Zouain, "The concept of the landscape has been misused and overused, especially by the protectors of heritage. The concern is that they rely very much on romanticism, especially in urban environments. This form of taste, or liking (or not) is insufficient. Why are horizontal lines preferred to circles, for instance, in certain settings? What should be the question rather, is what is the function, or impact? So much of this pertains to past experiences, to images of reference that are retained in the brain which are not used in urban planning. The UNESCO conference Gaia Heritage is planning will bring together art historians and art critics, senior architects such as renowned Italian architect Renzo Piano. "It will take place in Paris, in UNESCO's premises because it will be responding to a request by the executive board of UNESCO to go into the design of the legal instruments and methodologies and to help better plan and manage urban historic centers. I don't like that concept, because as soon as you speak of urban historic centers, the rest of the city is forgotten or neglected. I want to see more of an integration in the approach, both in terms of protection and management." "The problem with the local government policy towards architectural heritage is that it is ignorant of the past, because we have no institutional memory, all of which was discussed and debated at the time of Michel Edde, when he was minister. The main issue at stake in Lebanon is that we are still looking at the monuments, and forgetting about the ensemble, or typology. For example, if you preserve a house so that it becomes untouchable, but you can erect a 20-story apartment block next to it, then the owner of the latter will be making money, while the owner of the older house will be punished for protecting heritage. It doesn't make sense. Lebanese law stipulates that 50 meters around the house or monument should be protected, but if you take 50 meters around buildings in Beirut, then all of Beirut will be protected. We had a strong director-general of Antiquities before the war, Mir Maurice Chehab, whereby no one dared to do anything, and he managed to preserve the wealth of the country." "I worked in Jounieh in 1990 and I asked Michel Edde to put 90 plots on the list for protection. I also invited Michel Michault, head of Institut des Études Politiques in Paris, who has a PhD in town planning, and suggested an interesting approach of clusters or small ensembles that provide an urban organization, which can make life there more agreeable. It took 20 years, but it works so well that the prices of old houses in Jounieh have skyrocketed, instead of protecting one plot at the expense of the other." Elie Harfouche, founder of Archileb, added that this pure conservationist approach related to the building and construction laws in Jounieh, leading to an imitation of the surroundings, presenting a facade and having room for maneuver only on the inside of a building. "Maybe it is because if you leave any room for the Lebanese architect, you end up having 5 floors instead of 2, or a tower from one side facing the sea," says Elie. In other words, without very rigid conditions, the Lebanese builders often find ways in which to break the zoning rules. "Lebanon is a country where nothing is taught about art, music, culture, or heritage in the schools. The first time education on heritage was implemented in the schools was through a program put in place by the European Union, which we are monitoring, implemented by Mercy Corps. In Lebanon and in Jordan, we developed a program for youth between the ages of 12 and 18 years old and now it has been approved by the Lebanese government to become a full-fledged part of the National Baccalaureate." One day, on his way to the Prime Minister's office to present his work on the House of Arts and Culture to the besieged government in the Serail, Georges Zouain took a taxi who mentioned that "the reason why we have wars in Lebanon is because we don't teach music in the schools. He is right." Georges Zouain's interest in heritage began when he was asked to manage the World Heritage Center and the convention. At the time, he was deputy director. "I spent 5 years at the world heritage center; I was asked by Frederico Major, the former director general at the time, to analyze how heritage helps from an economic persepective, as a development economist and what to do with buildings that are listed, or how protecting them can also lead to better performance." Especially in the case of Lebanon, where people are so economically driven, it is significant to assess how a developing country can benefit by capitalizing on its heritage, rather than destroying it for the new. "The sheer fact of having a well-protected heritage is good for the economy because it adds market value to what is produced in or around the place." The first time Georges Zouain's model was applied was in Al-Hambra in Spain, then in al Qadisha valley in Lebanon, "and now it is taught in universities abroad." 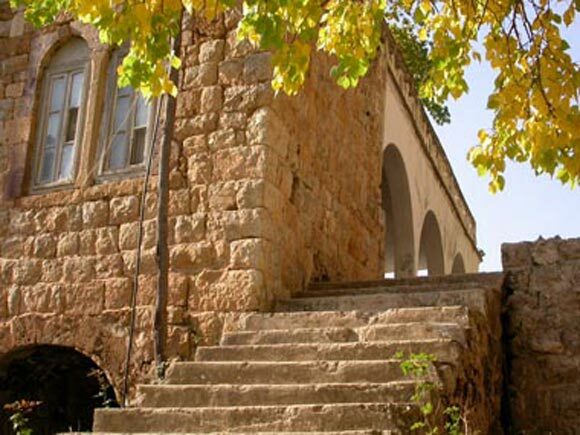 In Gaia Heritage, Zouain has worked on many interesting projects relating to history and cultural heritage, such as creating a museum and cultural center in the Debbaneh Palace in the old city of Saida. Gaia Heritage also proposed the implementation of a railway museum in Tripoli's harbor El Mina. In 1991, Zouain worked with UNESCO on this suggestion, to feature the railway station that had been built in 1911, and then closed during the civil war in the seventies, only to be used as a military barrack in 2005. There were still many old station wagons and German engines left, but unfortunately, a lack of funds and support to complete the project thus far. "I have always looked at development in cities and I have seen so many historic centers fossilized, that I began to look at what makes a city strive and live, particularly historic cities. I noticed that knowledge economies love historic places; they get on well together, and it is not degenerative." In 1995, Zouain founded the National Heritage foundation with Ghassan Tueni and "thanks to Mona Hraoui, we managed to do wonders and raise 15 million dollars for the National Museum. At the time, 20 or 30 associations were created to save the heritage in Tripoli, in Saida, in Tyre, etc... Everyone wanted their share." 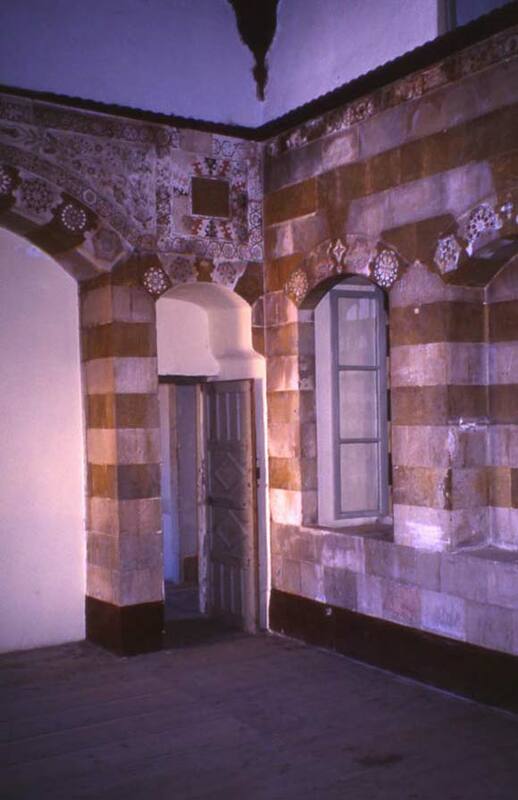 "The famous Barakat building is meant to be turned into an urban history museum, but not every building can become a museum. That is the misery of the French, in terms of a traditional vision of heritage, as compared with the Italians or Spanish. In Rome or Florence, there are historical buildings all over the place, but not all of them are museums. Some of them are houses, flats, offices, living spaces that function. You do not need to go as far as Solidere, or facade-ism. In between hard-nosed protection and the display of pure heritage, as well as facade-ism, a lot can be done. In Lebanon, it is romanticism that leads protection because not many understand the necessity of valuing heritage; value, meaning not just to give it a value, but also how much heritage value is there in this heritage building. Assessing value based on criteria is not in place, nor do we have a heritage strategy in Lebanon. Auditing the situation does not mean making an inventory, but rather discerning the relationship of the population with this heritage. If you go to a village and tell them, this is heritage, they might say, why? This is old. For them, what is heritage? It is the square in front of the church, because this is where they receive condolences, have marriages and who owns what in the first place..."
"Who owns the past, and what past do we own? The conservator and heritage specialist will probably envisage things from his/her own reading of heritage and place it in his/her perspective. When asked to put a cultural value in the perspective of those who experience or use the site in question, the result is very different." In 1999, which was the culmination of Georges Zouain's work in the World Heritage Center, he wanted to change the monumental view of heritage, "because most of the countries in the committee are from Western countries, or Western-oriented, with a monumental vision of heritage. For instance, Niger had a national park at the time, which was a sacred place for them and they wanted to list it as a world heritage site. This was not understood by the advisors to the committee and it took me one year of lobbying to list it under cultural values, especially since it was important for the people, they cherished this place; it is a holy place and an important cultural signifier for them. One cannot stay it is not cultural because there is nothing monumental about it, only something natural." There are two main ailments that result from heritage conservation, according to Georges Zouain "and both have to do with stone. The Lebanese love stone, and whenever they can move the plaster, they do so, even if it is bad for building. 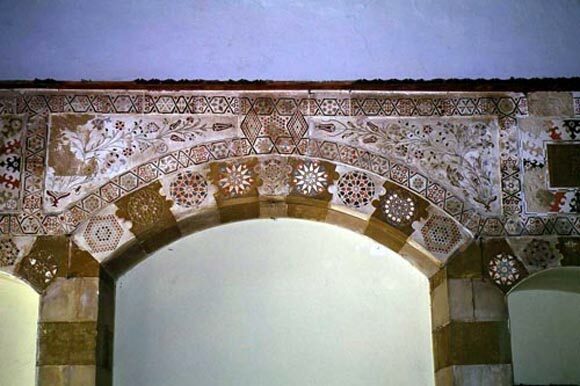 The second issue is the (sandstone), which they chip from the outside because they believe it is beautiful, even though it absorbs more water and the stone degrades, like what they have done in the souks in Saida... I am a romantic in my life, but not with stone."